Global service provider Atalian Servest has extended its portfolio of work with Her Majesty’s Revenue and Customs (HMRC). The contract awarded positions Atalian Servest as a critical engineering services provider to HMRC across its central region within the UK, providing a variety of key services including engineering repairs and maintenance, CAFM, helpdesk and specialist technical services. The five-year contract supports the HMRC’s estates transformation strategy which aims to modernise the government estate. It will maximise how the government uses its assets and is helping to transform the civil service into a modern employer that runs an efficient and sustainable government estate with fit-for-purpose office space and modern working environments. 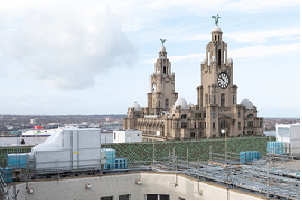 This contract award across various locations in the UK including multiple sites in Liverpool, Manchester, Leeds, Birmingham and Nottingham adds to the growing number of government contract successes for Atalian Servest.